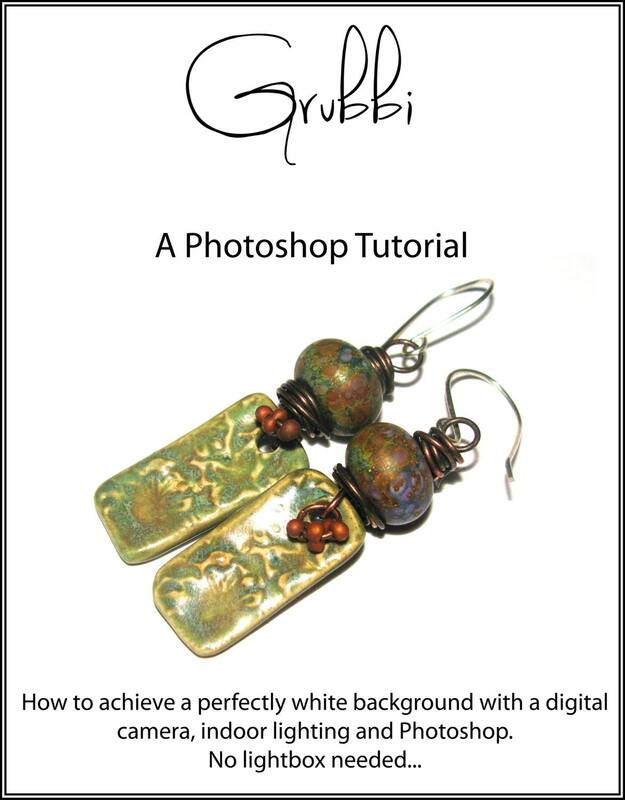 THIS TUTORIAL WILL ALSO WORK WITH PS ELEMENTS. IT DOES NOT COVER INSTRUCTIONS ON HOW TO USE ELEMENTS BUT ELEMENTS HAS THE SAME TOOLS USED IN ITS PROGRAM. If you are familiar with how Elements works then you should be able to follow this tutorial. If you're looking for a step by step for Elements this may not be what you need although I am available to offer support via PM. Every step is detailed and has accompanying pictures. Achieving a solid white background in photography is difficult. Some would rather achieve the best image they can with their camera settings alone, whilst others use a lightbox, lamps, backgrounds...all kinds of materials to enable them to get a good image...others wait for the sunshine and take their items outside...a little inconvenient if it’s a cloudy day, or night time! I have been using Photoshop for around 10 years now for graphics, drawing and editing pictures and as I don’t have the space for a complicated photography set up, nor the patience to wait for the sun to shine and cart all my creations outdoors, I have been using Photoshop to give me a good, clear image on a solid white background with minimal effort or fuss. This tutorial will enable you to take pictures indoors with no lighting other than your camera flash, materials needed are minimal. You will turn your pictures from the dark grey pic on the left, to the bright, eye catching image on the right with a perfect white background and automatically correct the colours in your image to their true self, in just a few simple steps! You only need a camera and a copy of Photoshop installed on your PC. No other special equipment or lighting apparatus is needed. It is suitable for beginner level.